Barbara Ellen Wyse was born February 3, 1940 in Agra, Oklahoma to Troy and Myrtle Lilly Mae (Harding) Lewis. She passed away April 16, 2019 in Tulsa at the age of 79. Barbara grew up in Davenport where she graduated with the class of 1959. 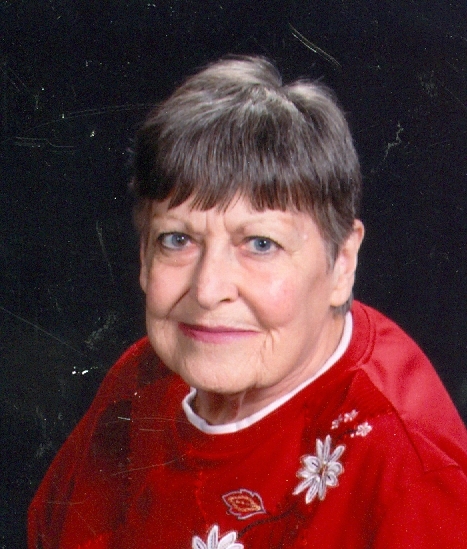 She was a longtime member of the Davenport First Baptist Church where she enjoyed helping prepare funeral dinners. She volunteered at the Davenport clothes closet and loved taking care of children. Barb was always ready to lend a helping hand. She loved her family including her niece, whom she considered her daughter and her niece’s children, whom she considered her grandchildren. Barbara is preceded in death by her parents, Troy and Mrytle; her infant daughter, Debra; brothers, Ronald Lewis, Elmo Lewis, Jerry Lee Lewis, George Lewis. Survivors include her best friend, Barry Wyse of Davenport; niece/daughter, Amber Berry of Davenport; great-nieces and great-nephews/grandchildren, Ricky, Alexis, Andelysia, Gabriel; sisters, Cloe Wilson of Davenport, Joyce Place (Jerry) of Stroud, Elizabeth Miller of Broken Arrow, Martha Berry of Davenport; brothers, Troy Lewis of Davenport, James Lewis (Leota) of Davenport; along with other family and friends. A visitation will be held at 11:00 a.m. Wednesday at the church. A funeral service will be held at 10:00 a.m. Thursday, April 18, 2019 at the First Baptist Church of Davenport with interment following in the Davenport Cemetery with Reverend Mike Mitchell officiating. Funeral arrangements are under the direction of Lehman Funeral Home of Wellston.